Generally post editor in WordPress is congested with toolbar, menus and sidebar widgets and you have many possibilities of getting distracted with these options. 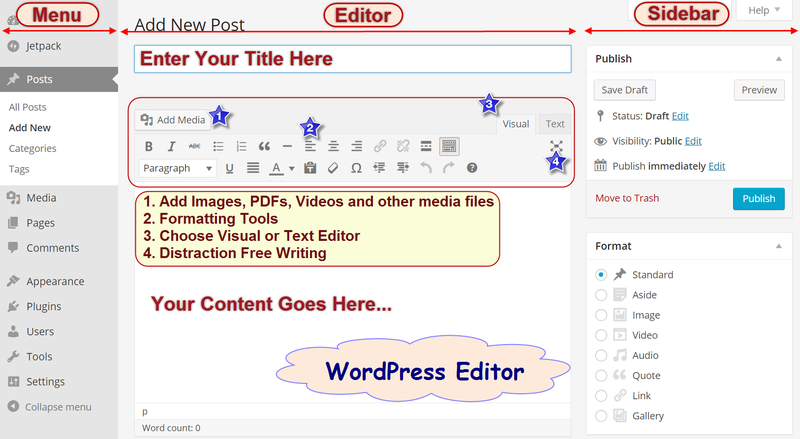 Whether you are copy / pasting offline content or directly creating content online with the editor, you need to spend considerable time in front of the editor for creating a site using WordPress. Fortunately WordPress does offer some solutions for distraction free writing and this article explains all such possibilities. Click on “Distraction Free Writing” icon when you are in the WordPress visual editor. The editor will be changed with limited toolbar options and there will be no navigation menu and sidebar widgets displayed in this distraction free mode. From WordPress 4.1 version, when the distraction free writing icon is clicked menus and sidebar will slide out within the same screen without popping out as a new screen. You can again click the icon to bring the screen back to normal. If you are not happy with the distraction free editor and looking for the options to optimize the default WordPress editor then you can collapse the navigation menu section to increase the width of editor. 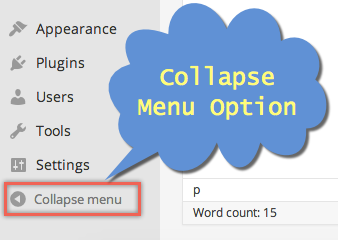 Just click on the “Collapse Menu” option available at the end of menu to contract or expand the entire menu section. Another option to increase the width of WordPress editor is to disable default widgets showing on sidebar or push them below the content. Click on “Screen Options” button available at top right corner and uncheck the boxes to disable sidebar widgets. Selecting “Number of Columns” as 1 will expand the width of the editor by pushing all selected widgets below the content. WordPress introduced a new function “Expand the editor to match the window height” and enabling this checkbox will result in content scrolling within the height of viewable content area instead of the whole page is scrolling together till the time the end of content is reached.